Meditation is the deepest pool of water. It goes on beyond ideas. To overstate its reach would be hard. But simple breathing exercises have had a bigger effect on my life thus far. While meditations dive into an infinite abyss in ever subtler and less physical ways, that first dip of my head under water that I felt by doing breathing exercises was a profoundly simple awakening to the control that I can choose to have over the experience I have of my body, my emotions and the thoughts in my mind. Much of what happens in our bodies we are either unaware of or feel as if we are powerless to control. We each have an autonomic nervous system. This is the term we use to describe the control system for our bodies functions that generally happen beneath or outside of our conscious awareness and control. Heart rate, digestion, perspiration, salivation, arousal, our immune system and our breathing are controlled by processes that we are normally not aware of. By knowingly taking over a task that is normally controlled without our awareness such as breathing we are able to exert conscious control over physiological functions that often times seem to be controlling us. Because of the way that all of the body’s functions are intertwined, by changing just our breathing we are able to have an effect on everything from our heart rate to our happiness. Anyone who has ever felt anxious, angry, excited or sad should be familiar with a number of things that are happening in their body while feeling these emotions. One of these is the depth and rate of our breathing. For a simple example look at your breathing while you are calm. It will be deep, filling up much of your lungs and possibly causing your chest, stomach and or shoulders to expand. This breath will be slow as well as deep, potentially lasting more than a few seconds. What you are likely not directly aware of is the way that all of the bodies other autonomic functions are working in concert. When we are resting and stress free this is a synchronization that happens in the body that keeps us healthy, happy and alert. The opposite is true when we worry or get nervous, angry or over excited. Then our breathing tends to become shallow and quick as our heart rate goes up and certain muscles in our body constrict. At these times our resources are diverted away from our digestive as well as immune systems and into our muscles in the early stages of a fight or flight adrenal response to stress. Even our higher reasoning in the foremost part our brain seems to lose resources. Studies show that students taking tests perform at a much lower level than would be expected if they experience nervousness or stress for exactly this reason. While the most evolved parts of our brain are correlated with performing the most complex reasoning tasks we are capable of, this ability to meta-analyze complex concepts from afar is understandably a far slower process than the rapid instinctive reactions that potentially dangerous situations require. Fight or flight reactions shut down complex reasoning and amplify our tendency to be reactive. When we see a rapidly approaching lion we don’t stop and ponder the existential implications of life and death, we run. Fear facilitates the functioning of large muscle groups at the expense of the bodies other systems. This is great for physically threatening situations, not so great for the simple stresses of day to day life. Put another way, when we are anxious or nervous we are prone to getting sick, having digestive issues, muscle soreness and often make mistakes on things that we should have been thinking through more thoroughly. When introduced to formal breathing techniques I began learning how to take control of my breathing in a measured and rhythmic way. While sitting in a calm, restful state I studied the symbiotic relationship between my thoughts, my mood, the activity and sensations in my body and the length and depth of my breathing. By controlling my breath I began to see quick and meaningful changes in both my physiology and the tone and volume of my conscious inner monologue. It became clear in a very short time just how many of the formerly automatic responses that my body would have to a given situation I could actually choose to control with purpose and direction. When we take the reins of our bodies functions by controlling breathing we get a chance to guide so many of the other processes that seem to be happening beyond our control. Most of this happens without any effort or awareness other than breath control. The associations built by slowing and deepening breath while in a resting state carry forward so that in stressful situations all one must do is change the rate and depth of breathing and within seconds a calm, resting state can be accessed based primarily on the way that our body associates states with breathing, but strengthened by the associations we build between feeling calm and breathing slowly each time that we practice this. On a more subtle level, when I began working with my breathing I also began to have a deepening trust in the intuitive understandings that so often hang out a couple of notches on the volume knob below conscious chatter. In the process of learning to have more poise and be less reactive in everyday situations I found myself having a deepening trust in my own judgment and ability to act quickly in any situation without feeling the need to stop and ponder. With increased breathing exercises my everyday sense of readiness inches ever closer to what many refer to as a ‘flow’ state. This is the state of being that artists and athletes describe where it is almost as if times slows and the most appropriate actions are automatically taken without any conscious effort or hesitation. The calm that I am describing here should not be mistaken for detachment or lethargy. It is an incredibly alert and active stance that is simply free from worry, distraction and unhelpful mental chatter. I don’t mean to say that I quiet my mind. Many talk about meditation, used here to mean simply focused attention, as stopping the mind from thinking. As I have written before, this is not exactly how I experience it. My mind goes quiet no more than hands go numb, ears fall deaf, or my tongue fails to taste when I stop focusing on it. It has helped me to think of the brain as a sensory organ that picks up on thought. You are not your brain. You are the one who is aware of it. In a moment of slowness between breathes I have the experience of turning my attention to my right ear and hearing the room. My eyes are closed, if I ask myself what I see I will look and realize that I see only black. If I then change my attention to my mind I become attuned to the many thoughts that churn through my waking head. But to rest in between….this is where the wise man prays. What we learn is that from this resting place of experienced stillness comes the quickest, most precise and in tune movements we can make; but also the most relaxed and effortless. And in the waiting there is no wondering or stress. This is not a place of denial of the outside world. There is a finely tuned listening, an awareness of the environment, that only such centeredness can allow. When the normal tendency to fixate upon and amplify one specific sense, including that of thought, is relaxed we are free to witness the present moment with much greater clarity and joy. The actions that we take from this expanded place of consciousness include all of the functions of our previous awareness, but add an element of choice and a sense of empowerment that is otherwise so often missing. And all from breathing exercises he says? The line between focusing on breathing and deep meditation is a thin one. Many meditative traditions begin with purposeful breathing as a means to learn focus and control. This skill is then utilized for prayer, koan practice, mantra, chanting, or to focus on ‘nothing’. 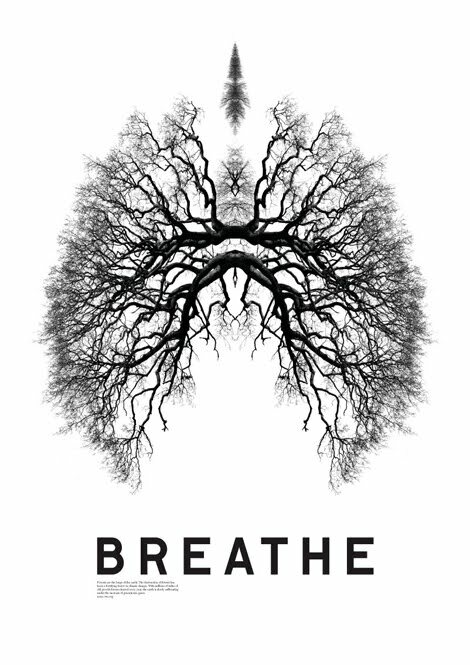 From breathing a practice can continue for a lifetime. But I would posit that this is daunting and largely unnecessary for the lay person. What I hope all children will be taught and I offer all adults should seek is to learn to take control of their breathing. The benefits are immense, the effort minimal and really, you are doing it already, so why not do it well? This post is from a series called Insights that are inspired by the work I do with my clients as a Life Coach. If you are ready to live with more joy, more passion and more purpose than I would love to be of service. Contact me to find out how my Life Coaching Program can kickstart your journey. 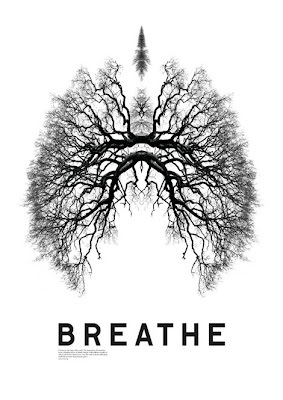 So what are your breathing exercises? The Art of Living was my first teacher and I still do the exercises I learned there over 10 years ago, but often times now I simply count my breaths in a repeating cycle of 10 a la Zen.